Five Habitats: Squatting at Langton is a laboratory-style, experiential exhibition modeled after Jock Reynolds’ 1978 show Five Habitats for Five Members at Langton’s original location, 80 Langton Street. 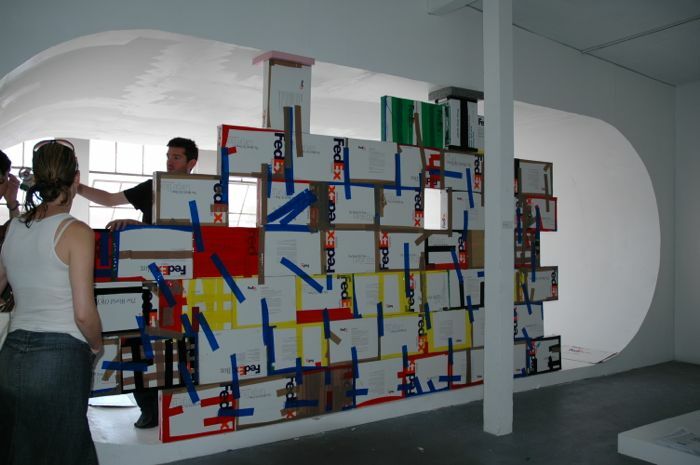 In 2006, Langton challenges artist curators John Baldessari, Keith Boadwee, Matthew Higgs, Joseph del Pesco, and Anne Walsh to each invite five artists working across disciplines for one-week intervals to occupy and activate the gallery space. 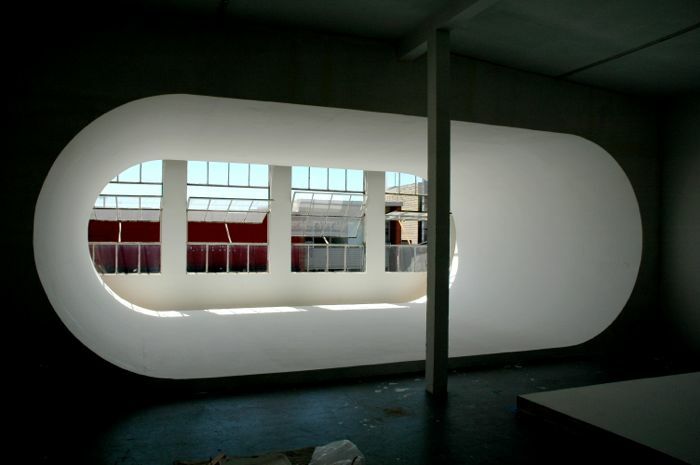 Korean-born architect Kyu Che designed five habitats in the gallery to be transformed by the artists into open studios, exhibition spaces, lounges, working stations, discussion forums, screening venues, performance settings, and more. 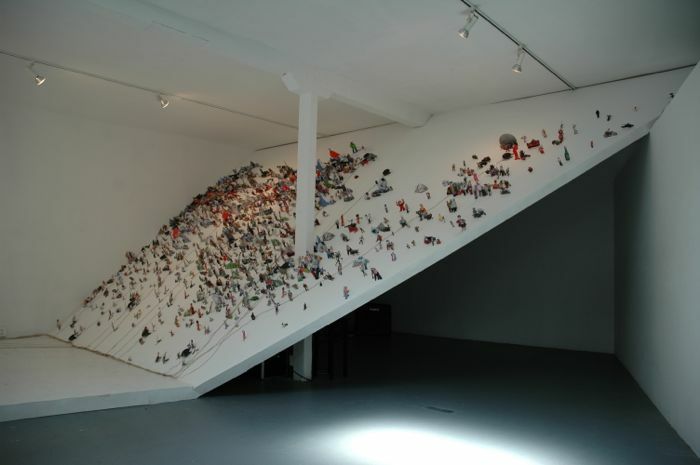 This “artist take over” of Langton’s space envisions an energetic and experimental approach to the use of an exhibition venue. Within this dynamic and mutable setting, the audience is invited to come back on many occasions throughout the summer to encounter a multifaceted range of artistic practices. The program will run Tuesday to Saturday for five weeks, with a new group of five artists occupying the space each week. Late night openings and events accompany each exhibition every Tuesday. 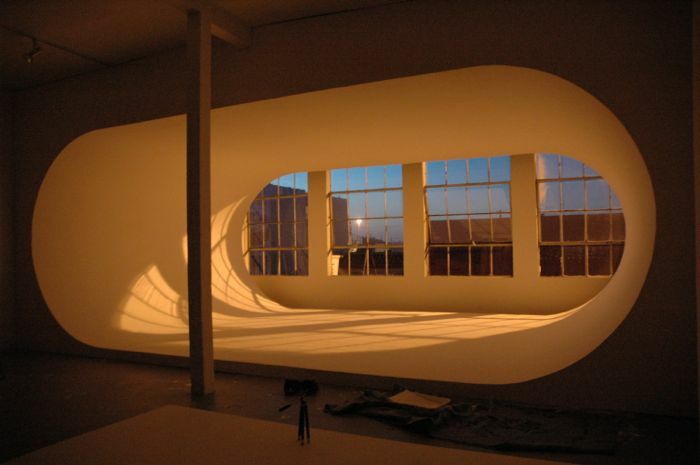 Kyu Che’s architectural intervention launches the project through an innovative design of five spaces within the gallery. 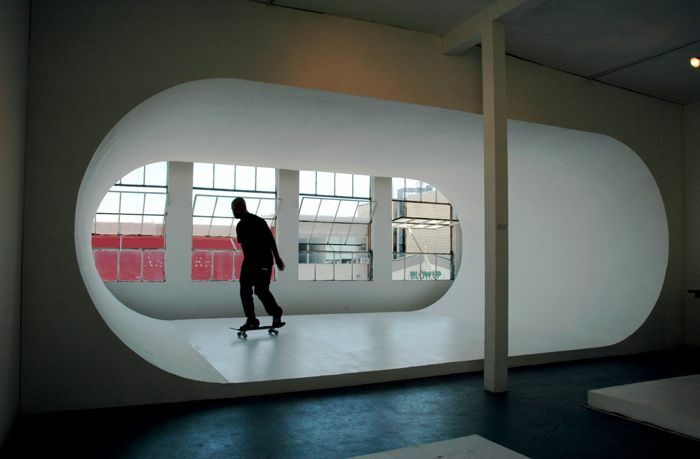 Che’s spaces interrupt the idea of the traditional white cube of the gallery by integrating tubular shapes, a mobile pod, sloping walls, a “drive-in”, and a subterranean cave. 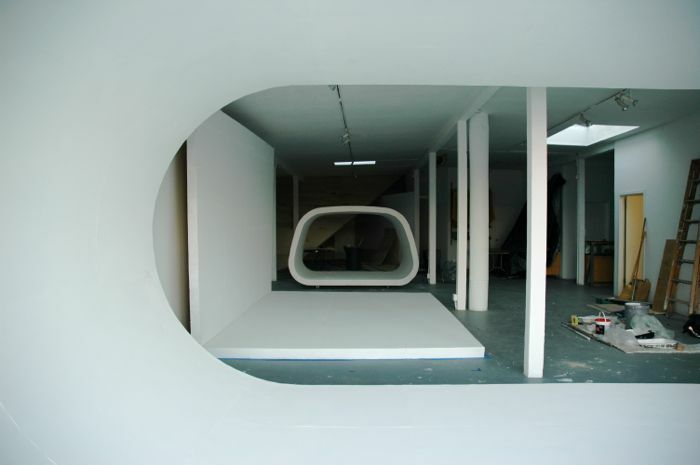 Maintaining a minimal aesthetic, the layout is meant to challenge the artists’ and the audiences’ notions of what is possible within an exhibition space. 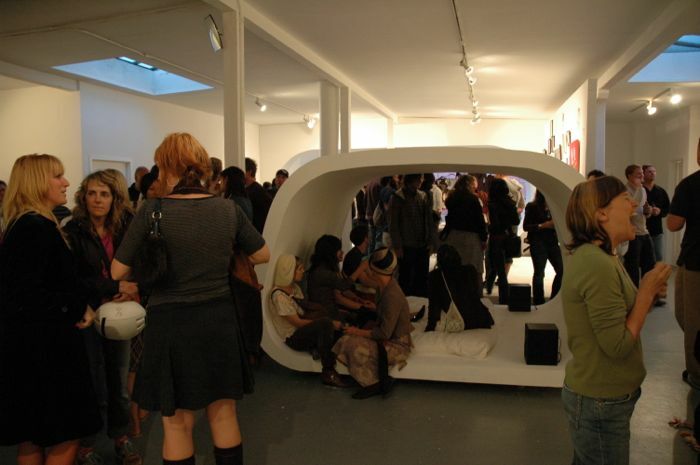 The proposed projects and uses of the space include collaborative works, interventions, and performances: a radio program broadcast from the gallery; a 35-hour film screening investigating anarchistic behavior; a live mural drawing engaging guest artists; daily sculptural installations; death performances; and various audio installations and lounges.